Two of the GOP presidential candidates who have dropped out of the race, Chris Christie and Ben Carson, have endorsed Donald Trump for president, despite the guarantee of an overwhelming backlash from the Republican establishment. One theory is that a successful presidential candidate has a large entourage of aides, staff members, and political allies who are already at the front of the line for positions that the president could appoint once in office. Because Trump has no experience in office and relatively few political allies, endorsing him could get them to the front of that line, so there’s an incentive to endorse Trump over other candidates in the race, and a recent interview appears to confirm that theory. I will be doing things as well…certainly in an advisory capacity. 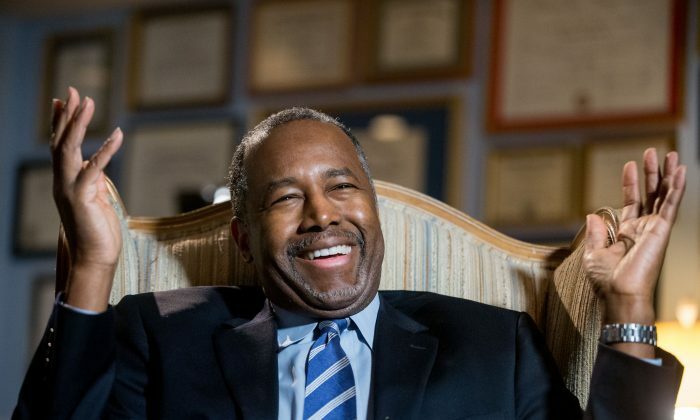 Ben Carson, who had endorsed Trump last week, said in a recent interview with Newsmax that he would have a position in a future Trump administration. Carson has excused Trumps acerbic rhetoric and said that there were “two Donald Trumps,” the public face and the private one, the latter more calm and presidential.